Paytm Digital Gold Offer– Hi Friends, welcome back to avjtrickz. 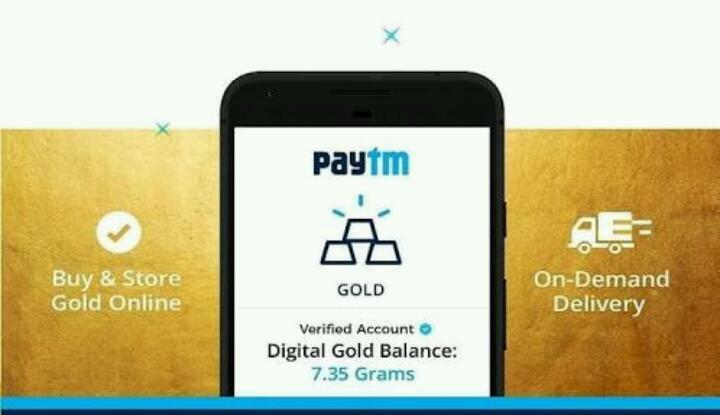 Now we are back with Paytm digital gold offer. You just have to follow the given steps and you will get a Digital Gold worth Rs.20 for free. You must have Rs.10 in your paytm account and you have to spend Rs.10 and you will get digital gold worth Rs.20 in your account and you can transfer it in your bank account instantly. So don’t waste your time, just follow the below instructions. 1. Firstly ⬇Download Paytm or Update your App in your smartphone. 2. Then Login with your account. Note : You must have to Rs.10 in that account. 3. Now Click on MENU and now click on GOLD option. 7. After Promocode applied successfully, proceed to payment page and pay Rs.10. 8. Get back to Dashboard and click on GOLD and check your account and you have Gold Worth Rs.20 in your Account. 9. Now Transfer that in your Bank account or in your other Paytm Account. 10. You can ask your friends to apply this promocode and buy that Digital GOLD and ask to gift that gold in your Account. 11. Then transfer it in your Bank. Enjoy!! !